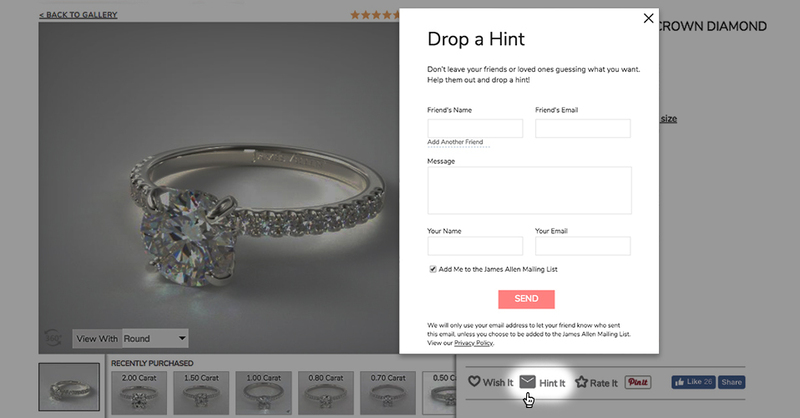 Get your bestie in on the act with our drop a hint feature. Because friends don’t let friends lack luster! 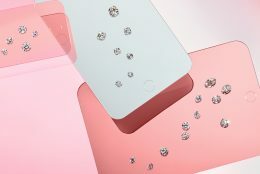 Okay, so you’ve found your dream engagement ring on JamesAllen.com. You’ve spun it around 360° until you were dizzy with sparkle. 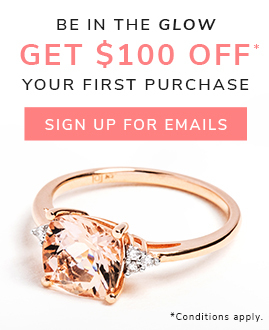 Perhaps you’ve even tried it on for size using our Virtual Ring Try-On. In order to bag that bodacious bling, you’ll probably want to enlist the help of your partner in shine; your best friend. Especially if you don’t feel comfortable dropping a hint yourself. 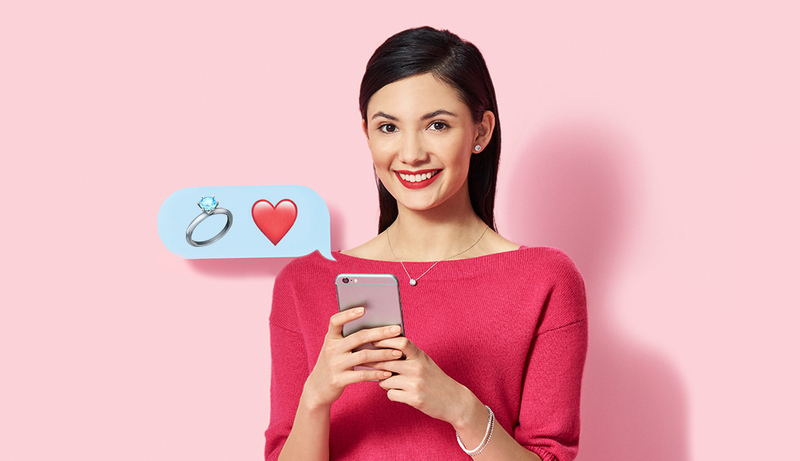 Who better to give your SO a nudge and a wink to ensure you’re both in perfect sync? 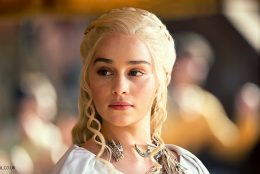 If you want to distract your partner with something shiny, here are some surefire ways to drop a hint. Drop a Hint: Wham, Bam, Instagram! There are a couple of ways to share your sparkly find via Instagram. 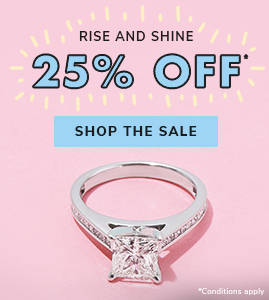 Browse our feed for inspo and save your favorites to a dedicated engagement ring collection. If you’re trying to keep things low-key, direct message is your best bet. 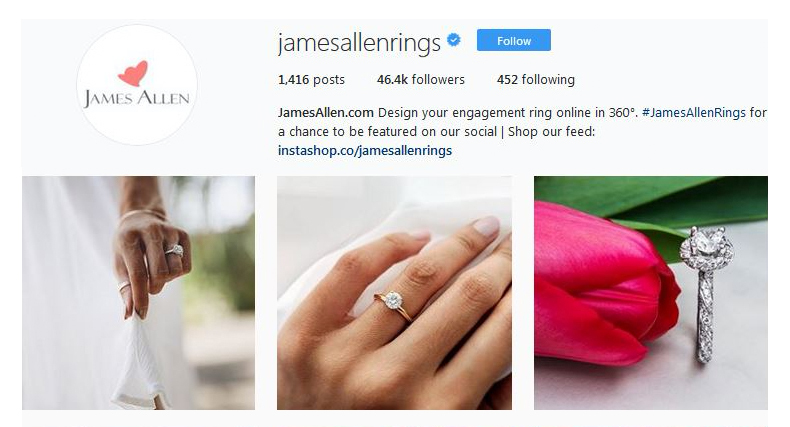 Alternatively, if you don’t mind everyone knowing your deepest diamond desires, you can tag your SO in an Instagram post using #jamesallenrings. Pro tip: Include the ring’s style number so they can easily identify it. 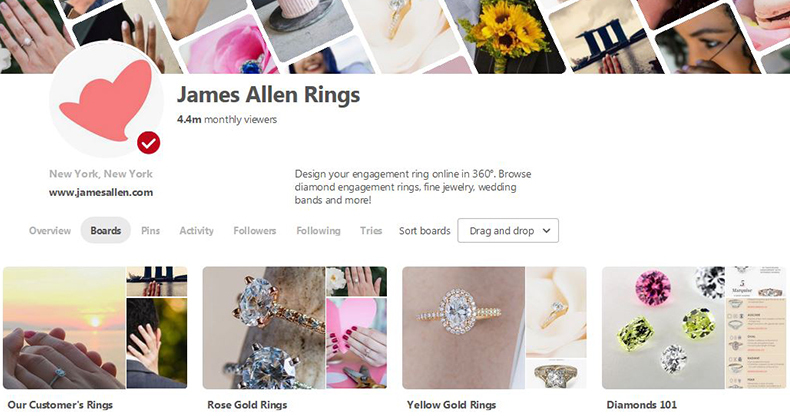 Pinterest is a great source of engagement ring inspiration for both you and your partner. 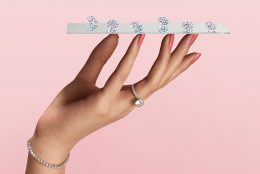 Once you’ve figured out your unique ring style, it’s time to drop a hint. Pin a ring (or two) to your board or repin one of our expertly curated pins. When you’re done, make your board public and share it with your SO, or keep it private and invite them to be a collaborator. You can also drop a hint via our website. 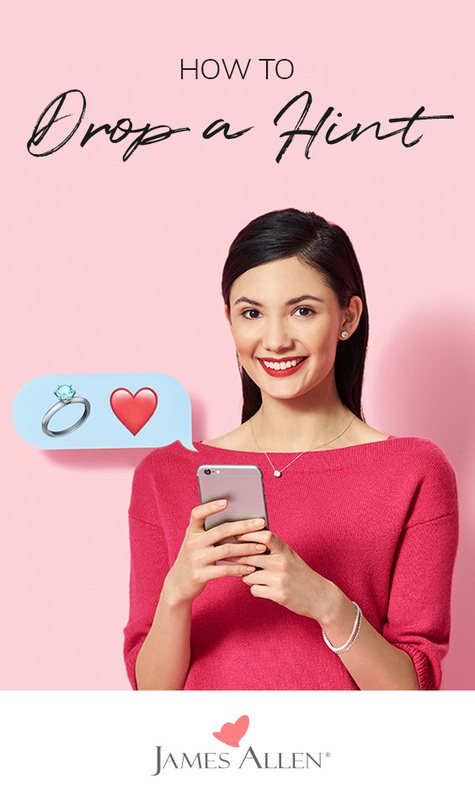 Simply find a ring you like and click the Hint It icon. You’ll be prompted to enter the recipient’s (and your) contact details. Of course, with hundreds of exquisite rings to choose from, sometimes it’s hard to pick just one. If you find yourself torn between a number of sparklers, add them all to your wish list and share that with your SO. Click the heart icon next to each ring to add to your wish list. Pro tip: To save your list for future reference, either create an account or log in. Partner clueless about what to get you? Give them an inkling about what’s twinkling! Let us know how you popped the suggestion in the comments below or on our social channels: Instagram, Facebook, Snapchat, or Twitter.